Cigna Health Insurance recently carried out a survey based on 3021 respondents from metro and non-metros. It shows that 62% of employees are battling with stress with more women than men fighting with it. Stress is the silent killer of the 21st century. The 2 day program shows how to manage stress in a highly demanding work place as well as at home and a road‐map towards a healthy work-life balance. 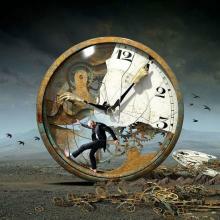 Gen Y: How high aspirations in a short-time span leads to burnout and anxiety. Managing computer / social media related stress. When and how to ask for professional psychological help? Autotelic Personality- person who is rarely bored, seldom anxious and is it peace with himself. His programs have a rich blend of Western Management Techniques like Transactional Analysis, Rational Emotive Behaviour Therapy, NLP, Emotional Intelligence & eastern practices like Zen, Tao, Vipassana, Patanjali Yoga Sutra etc. He has conducted more than 50 workshops on the above subject for BHEL, Standard chartered Bank, HCL etc. He is also a guest speaker at Jindal Nature Cure Institute, Bangalore on the same topic. For more related training programs like Sales Training, Capital Equipment Training, Outstanding Collections, Order Closing, B2B Sales Training, Corporate Sales Training, Value Selling Training, Premium Property Training, Negotiation Skills Training's in Bangalore, Mumbai, Chennai, Pune, Delhi. Ratan was working in Marriott Chennai and received the information that Vice President of OfficeTiger USA was put up in Hotel Park, his competitor. The VP was staying with his wife and 4-year old daughter and was to stay in that hotel for six months. Apart from him, there was a possibility of a number of his executives from US visiting India. How did Ratan managed to move the customer from The Park to the Marriott? One day Ratan brought a cute soft-toy for the kid and got it delivered through the front-desk. He also managed to get the birthday details of the kid. Ratan approached his management and asked whether it is alright to host a small party for the kid staying with her parents in a competitor’s hotel. After receiving the approval, he arranged the party and also invited some of his in-house guests in Marriott. What would happen to a mother if she receives a message that a birthday party has been organized for her daughter (with no strings attached) in another hotel? The family had such a great time that the next day they moved to Marriott. Subsequently Ratan was able to close a deal worth 400 room-nights through such a party! Contextual Selling: A New Paradigm for the 21st Century by Rajan Parulekar. Please refer the e-book for more details. 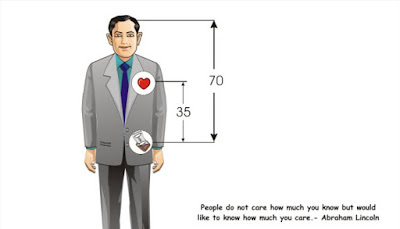 Please refer www.paradigm-info.com for ordering the book. 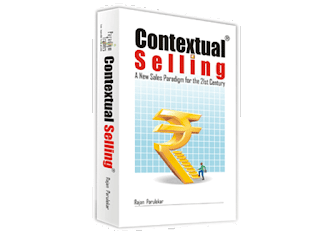 Contextual Selling – A New Sales Paradigm for the 21st Century, a Sales Book authored by Rajan Parulekar is written for sales professionals who are into sales of B2B, High-Value Industrial/Projects/IT/Services. It is also recommended for entrepreneurs from SMEs, start-ups who wish to develop a Winning Sales Strategy. The Sales Book covers the entire value-selling process starting from Prospecting, Objection Handling, Negotiation, Key Account Management to Order Closing. Financial acumen essential in achieving the desired Top-Line ( Revenue) and Bottom-Line ( Profitability) makes the book practical . Written in a simple and easy-to-understand style, it is for those who feel their top-end products and services deserve a premium! What do buyers say about the book!